The studio was first opened in 2007 after Ken concluded his career as an Electronics Engineer and moved to Quito, Ecuador, with his wife for three years. The studio has been open ever since with assignments to Australia, Austria and now back to the United States, in Northern Virginia near the Vienna Metro stop. 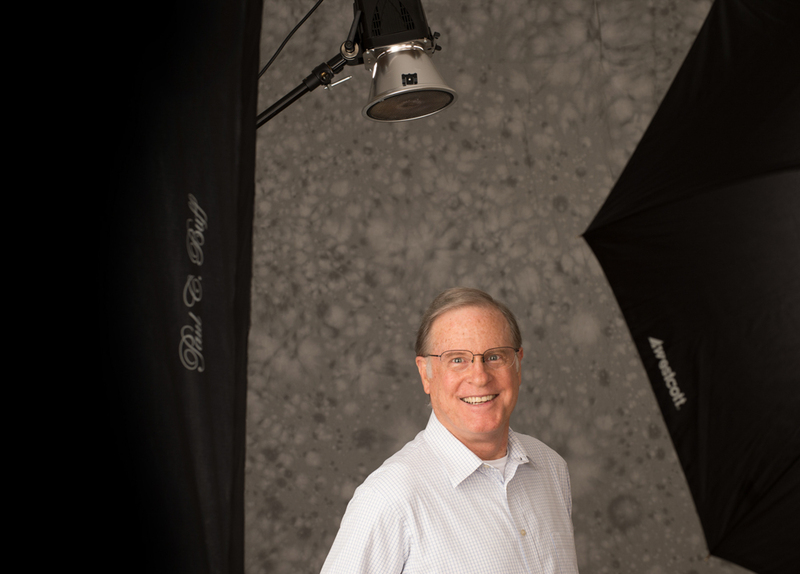 Ken has been passionate about photography since his first purchase of an enthusiast SLR film camera back in 1968. He used that camera for decades, gaining experience in portrait and travel photography. A decade ago he transitioned to digital photography using the latest cameras, computers and software. When he opened The Stylish Shutter Portrait Studio in 2007 in Quito, Ecuador, he became known for the use of the latest studio equipment, some of which you see in the photo above. The three years in Australia were pivotal for the studio as it established a reputation for professional headshots of actors, in addition to family portraits and commercial work. You will see some of this work in the slideshows on this website. Ken also participated in the production of films as a behind the scenes stills photographer, and in the creation of promotional materials for those films. Before arriving in Vienna, Austria, Ken spent two years in the U.S. where he was active as a sports photographer for USA Racquetball. Many of his action photographs and portraits of athletes were prominently included in the national magazine USA Racquetball. His successful sports photography also resulted in commercial use of his imagery for sports-related advertisements. While in Vienna, Austria, Ken continued building on his reputation as a professional photographer by moving The Stylish Shutter Portrait Studio with him in this fabulous part of the world. Ken moved the studio back to Northern Virginia near the Vienna Metro stop in August 2018.